New Pokemon Decks, Boosters, Starter Sets, etc. Posted: Fri May 13, 2016 4:03 am Post subject: New Pokemon Decks, Boosters, Starter Sets, etc. If you've ever been interested in getting into (or back into) Pokemon cards, now is a great time to start. 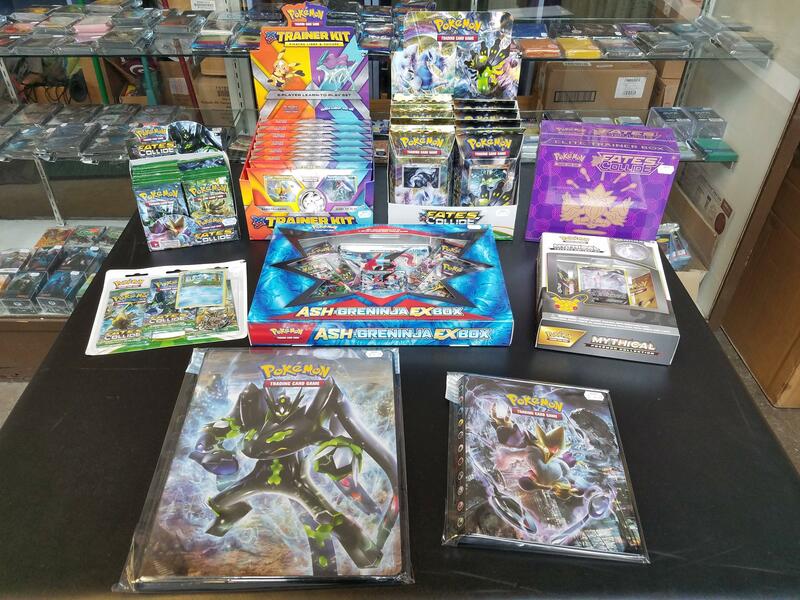 Tons of new Pokemon stuff has just arrived at Merlyn's including some awesome and affordable new 2-player starter sets, each of which includes everything you and a friend will need to learn and start playing! We've also got lots of new Fates Collide booster packs, theme decks, box sets, and themed portfolios. Swing by the store and take a look at our newly expanded Pokemon selection!